Encyclopedia of American Loons: #2017: Jeff Monroe et al. #2017: Jeff Monroe et al. 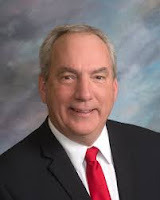 Jeffrey “Jeff” Rodrick Monroe has been representing District 24 in the South Dakota Senate since 2013, and previously in the South Dakota Legislature between 1995 and 2003. It is worth mentioning that Monroe is a chiropractor whose education is from the Northwestern College of Chiropractic – now Northwestern Health Sciences University – one of several institutions that specialize in offering courses on various types of woo, pseudoscience and quackery. Perhaps his background might help explain some of Monroe’s confusions over and distaste for science, evidence and reason. Fortunately the bill died, but Monroe promised to return to the issue in the future. He did, in 2015, with Senate Bill 114 (details here), another “academic freedom bill” allowing and encouraging teachers to teach the “weaknesses” of scientific theories, with “biological evolution, the chemical origins of life, global warming, [and] human cloning” singled out as disputable topics – this time without overtly religious language such as references to Intelligent Design creationism. Co-sponsors were Lederman and Van Gerpen from last time, as well as Bob Ewing (R-District 31), Brock L. Greenfield (R-District 2), Jenna Haggar (R-District 10), Ried Holien (R-District 5), Betty Olson (R-District 28), David M. Omdahl (R-District 11), and Mike Vehle (R-District 20). There is no shortage of anti-science loons in South Dakota. And don’t you know: Monroe et al. were at it with another attempt in 2016, with Senate Bill 83 (details here), “[a]n Act to protect the teaching of certain scientific information,” and again in 2017, with Senate Bill 55 (details here) (adding Stace Nelson (R-District 19), Jim Stalzer (R-District 11), and John Wiik (R-District 4) to the list of co-sponsors). This one passed the Senate Education Committee on a 4-3 vote, despite the opposition from the state’s educational communities, which says a lot of not particularly flattering things about South Dakota and its voters. Monroe himself asserted that “we’re dealing with theories, we’re dealing with things that aren’t proven. Things that people know are not established facts.” At least it must be counted as an established fact that Monroe has not the faintest clue about basic scientific thinking, distinctions and vocabulary. The day after, the Bill passed the Senate, and moved to the House (where its sponsors were Blaine Campbell (R-District 35), Julie Frye-Mueller (R-District 30), Tim Goodwin (R-District 30), Leslie J. Heinemann (R-District 8), and Taffy Howard (R-District 33)), where it was stopped by the House Education Committee. The bill was lauded by the Discovery Institute, who even found a local “expert” with an actual PhD (not in anything related to evolution, of course) to praise it. That “expert” was William Harris, whom we’ve encountered before. To top it all, however, Monroe is also an advocate for anti-vaccine conspiracy theories. In 2012, Monroe introduced a bill making it easier for parents to refuse to get their children vaccinated, in order to guarantee an increase in deaths from preventable causes (not Monroe’s explicit justification). Monroe, of course, claimed it was all about religious freedom, even though South Dakota was already one of the states with the laxest religious exemption laws. Diagnosis: Astounding mistrust of truth and evidence – and that goes not only for Monroe but for a substantial portion of the South Dakota legislature, and by extension its voters. Extremely scary, all of it.